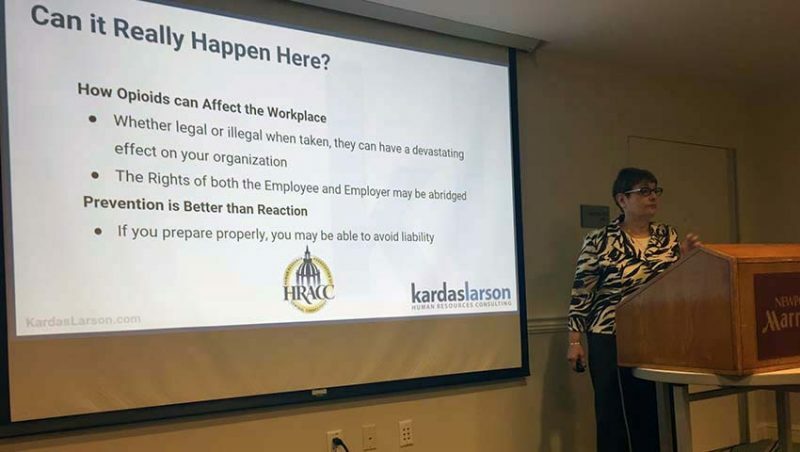 KardasLarson’s Lois Krause will speak to participants about establishing policies and procedures to prevent opioids from ruining a business. Additionally, she’ll share best practices around how HR can address potential issues, learn from situations and prevent further problems. Passionate about helping organizations address this growing concern, Lois offers practical guidance for business owners and HR leaders.